Super Performance. 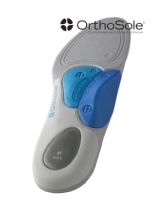 Invented due to a big recognition in the market place of a ¾ Length insole. Great for tight fitted shoes. All standard arch pieces (firm, medium, light) and metatarsal pieces (medium, light only supplied and required for this style) come in the packaging. Excellent for shock absorption and foot fatigue. Available in Womens & Mens. 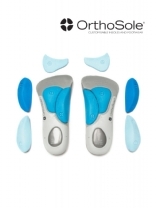 OrthoSole insoles were created to be entirely unique from the standard offerings of uncomfortable, unsupportive, one size fits all insoles, or the complications of heat moulding to a specific prescription.